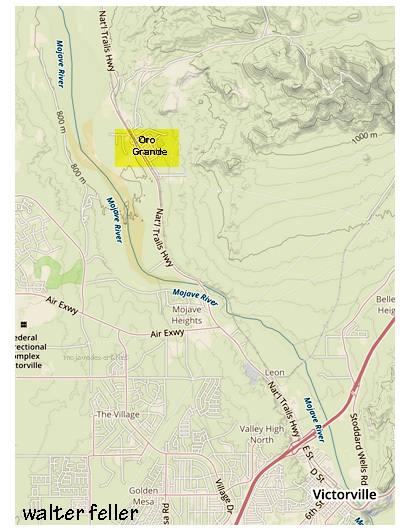 Oro Grande is an unincorporated community in the Mojave Desert of San Bernardino County, California, United States. It lies on the city boundary of Victorville and Adelanto. It is at an elevation of 2884 ft. in the Victor Valley north of the San Bernardino mountain range. It is located on old Route 66 near Interstate 15 between Victorville and Barstow. Sandstone formation along Mojave River between Victorville and Barstow. At first the ore from the Silver King Mine was hauled to Oro Grande, 40 miles away, but in 1882 a ten-stamp mill was erected beside the Mojave River at Daggett. Cities, towns and communities in the Mojave High Desert. 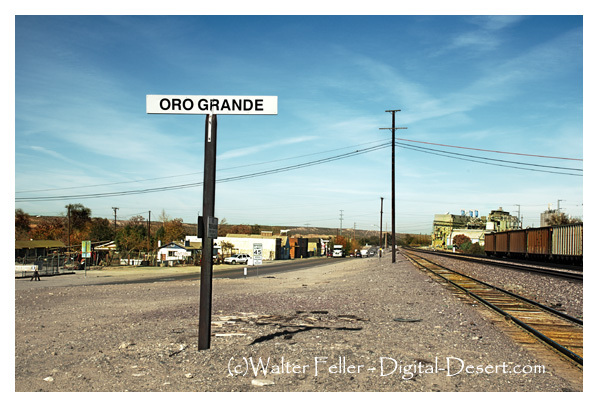 At first the ore from the Silver King Mine was hauled to Oro Grande, 40 miles away, but in 1882 a ten-stamp mill was erected beside the Mojave River at .